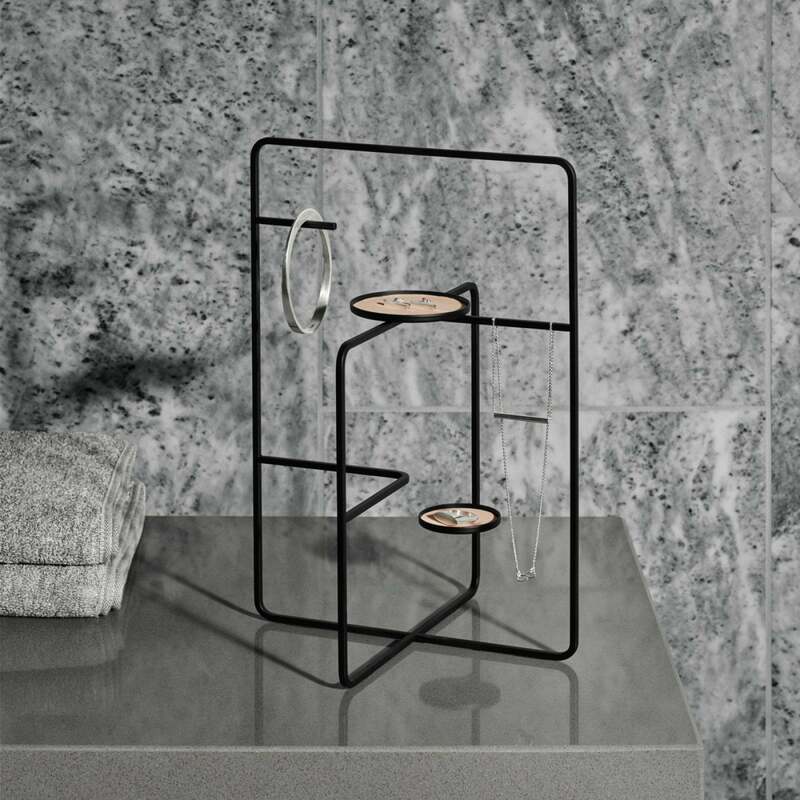 Blomus Castea is a linear minimalist jewelry stand that will help you organize your precious jewelry, while creating a stunning decorative effect. 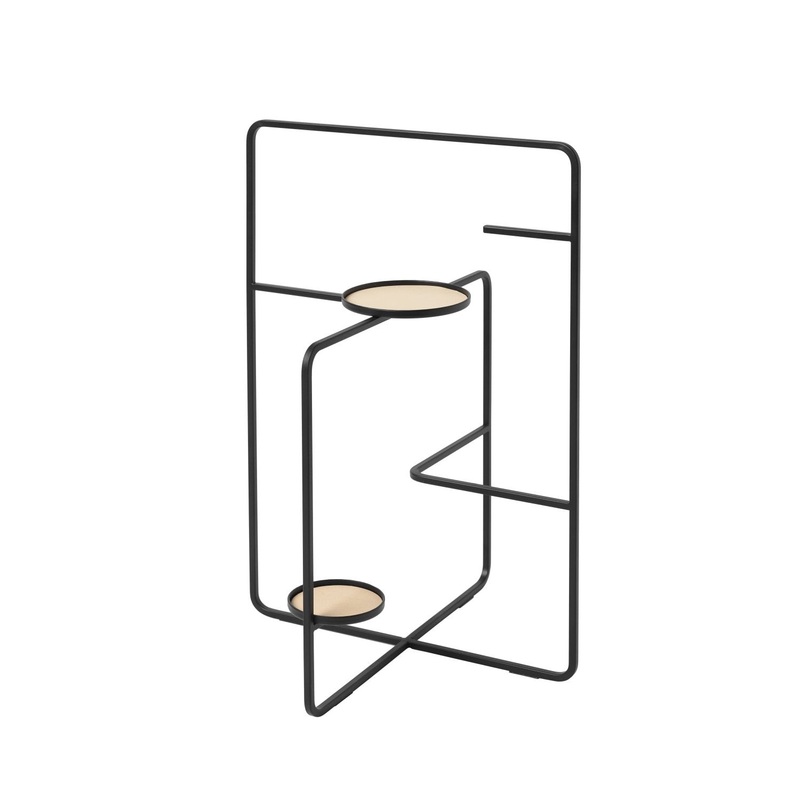 Neat and tidy: The CASTEA jewellery stand, designed by Justyna Poplaswska, keeps your jewellery organised. 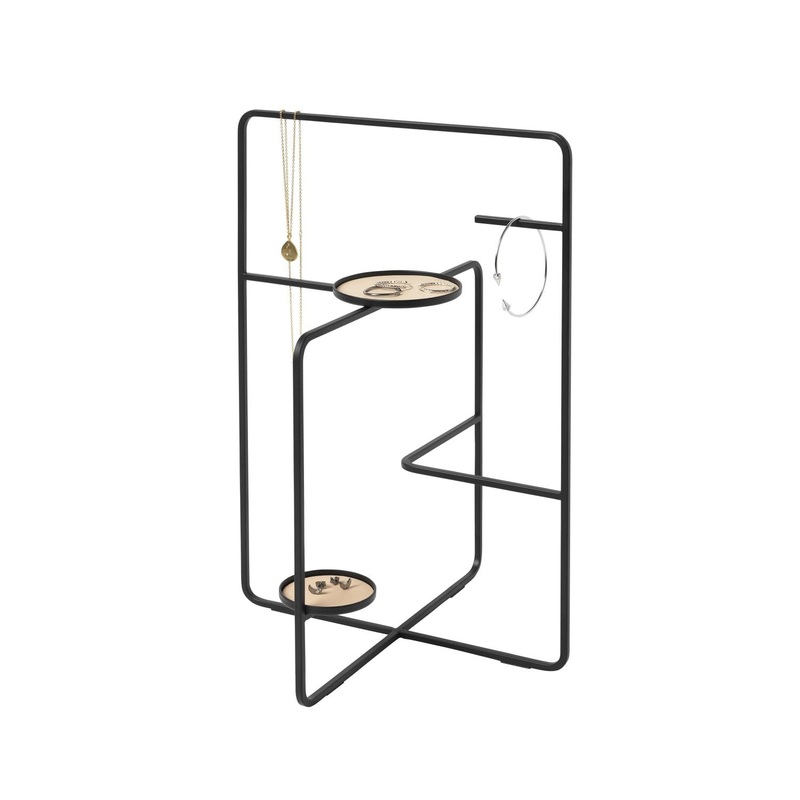 The matt black powder-coated stand provides a stylish place to store necklaces of different lengths, bracelets and watches. 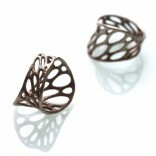 The three integrated holders for rings, earrings and hairbands feature elegant, brown leather pads. Features non-slip rubber discs on the feet of the frame to protect sensitive surfaces. Dimensions: Height 30,5 cm Width 20,5 cm Length: 20,5 cm.